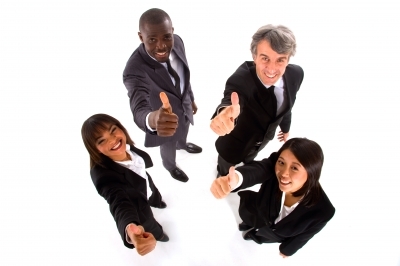 Wise company executives realize the benefit of a healthy and fit employee. The benefits include higher productivity, better moral and lower absenteeism just to name a few. 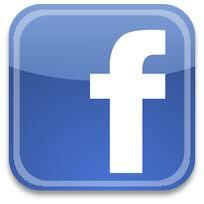 Star Hill Family Athletic Center offers group and corporate rates for a minimum of 5 employees. We can also customize your company program to suit the needs of your business. All we ask is that you help to communicate the discounted membership rates to your employees by e-blast, posters or health fairs. You do not need to subsidize the program to get a corporate rate for your employees. We value our Teachers and Active Military Men and Women. Please ask our membership advisors for special rates. 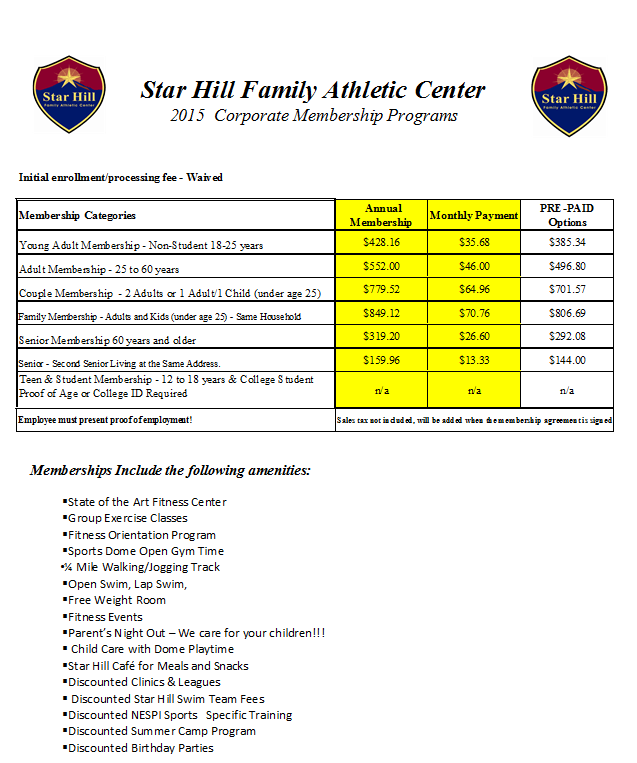 Corporate Membership Partners - The following corporations, companies, and occupations are eligible to join Star Hill Family Athletic Center at a special discounted rate. The special rates are applicable for the employee (only) and his/her family. Eligible individuals will be required to show proof of current employment. Please contact Deb or Kathy for more information.